I mentioned earlier this week that there are a LOT of galaxies out there. They get together in groups, which form into super clusters, which spread out like a fractal webwork throughout the observable universe. If this were a cosmology blog, I’d follow that opener with a gargantuan post about how we think these structures form and why there are VAST bubbles of empty space between them. For both our sakes, I’m going to skip that part and keep things in the realm of the 3D. Otherwise I’d have to get into non-observable additional spacial dimensions and dark matter, along with dark energy. Of course, thanks to some newsworthy neutrinos and some seemingly careful experiments, the observable (or measurable) dimensions of space we can count might soon be four. 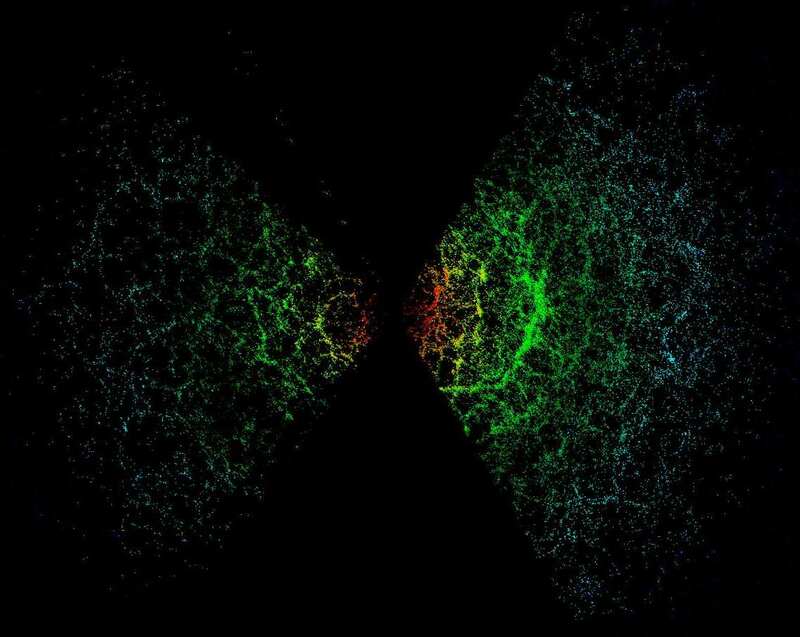 This is a recent computer simulation of the large scale structure of the universe. I’m re-blogging this bit from Universe Today, which I think you should be reading as well anyway. Pretty nifty! By all means read the UT post for a good explanation of what you just saw. But what about the real thing? After all, the simulation is cool, but it’s only a simulation. Of course, maybe we’re all just part of a MORE elaborate simulation. Let’s just say for now that what we think is real is real and do our best to avoid slipping down any rabbit holes. You want to map the universe, you're going to need the right tools. When it comes to actually mapping everything all out, the project that got it done was the Sloan Digital Sky Survey. There’s a good book about how it all came together too. 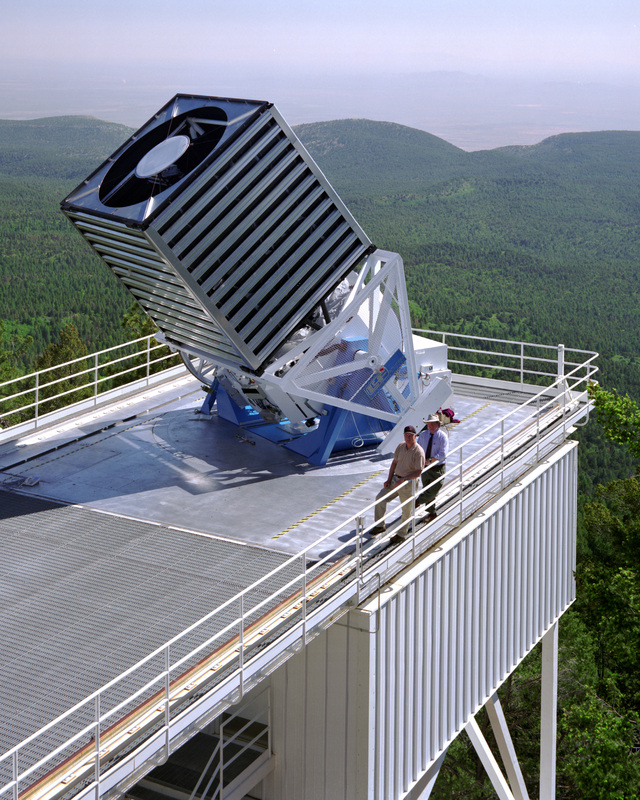 These guys have been mapping the universe since the 90s and the data may look familiar. Looks just like the simulation! How amazing is it that we can not only measure the structure of the universe, but actually make sense of it all? If this is interesting to you, check out the Sloan site and also some free info from NASA about how a lot of this stuff works. Some people might be surprised to learn that there is more to this stuff than just a bunch of tweed-jacketed academics scribbling complex equations on a blackboard. This isn’t all just conceptual, despite the incomprehensible scale. There is much more to learn, of course, and we still find ourselves only at the very beginning of truly understanding our universe, much less our place in it. I was reading recently about a scientist that was boldly complaining that we had learned all there was to learn, the only mysteries in the universe were nagging bits of trivial minutia. This was about 200 years ago and I don’t remember his name. I heard someone recently saying something similar, but I’m probably not going to remember them either. Will anyone?